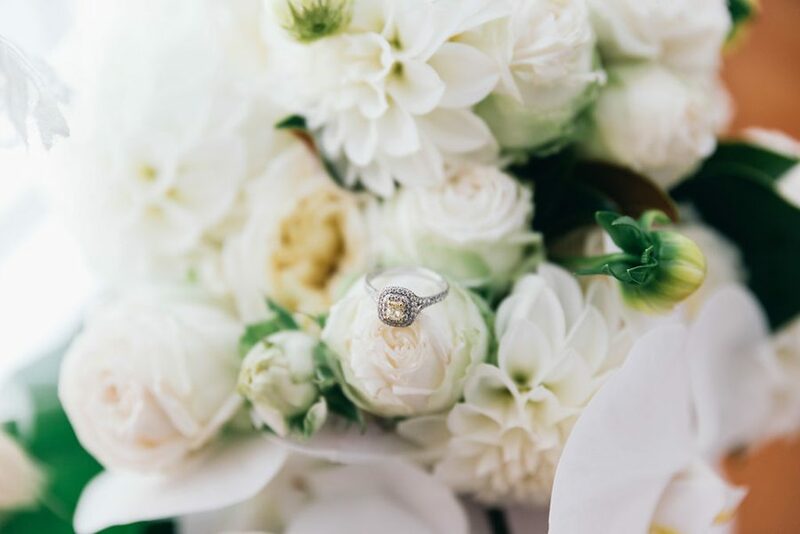 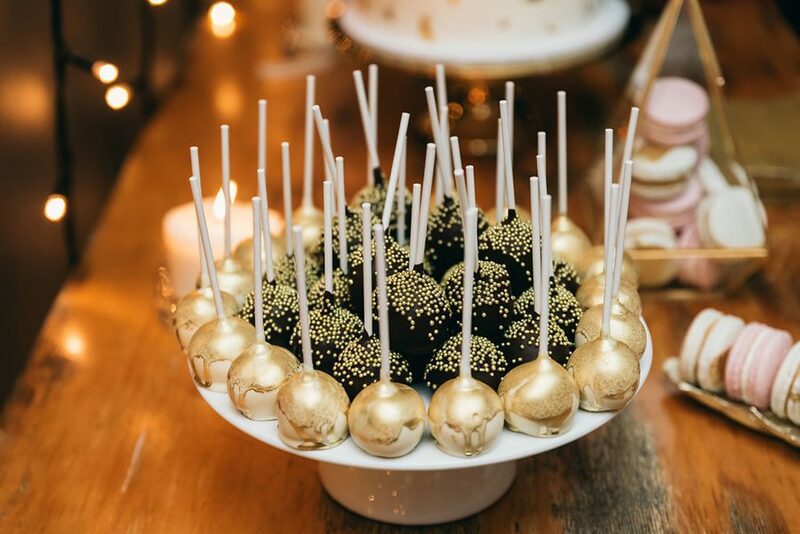 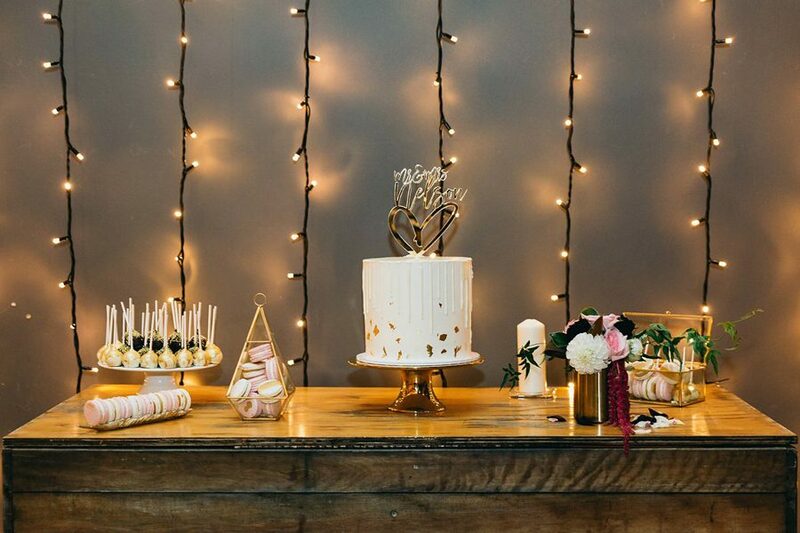 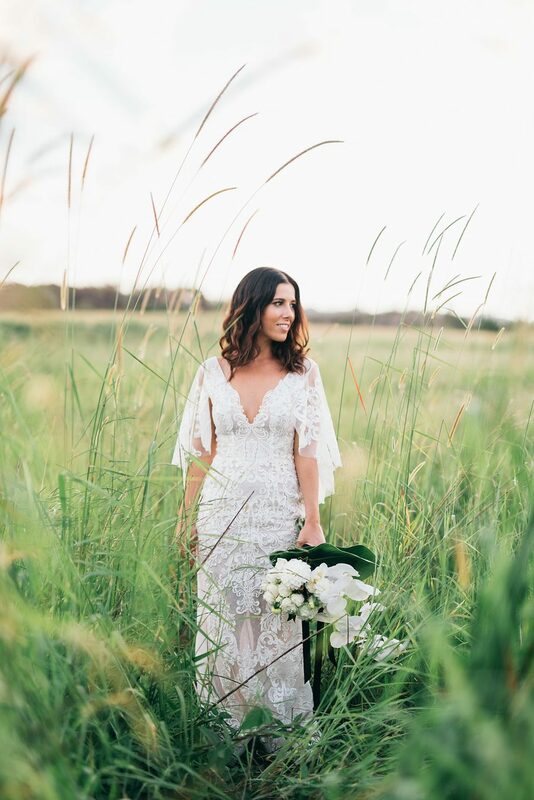 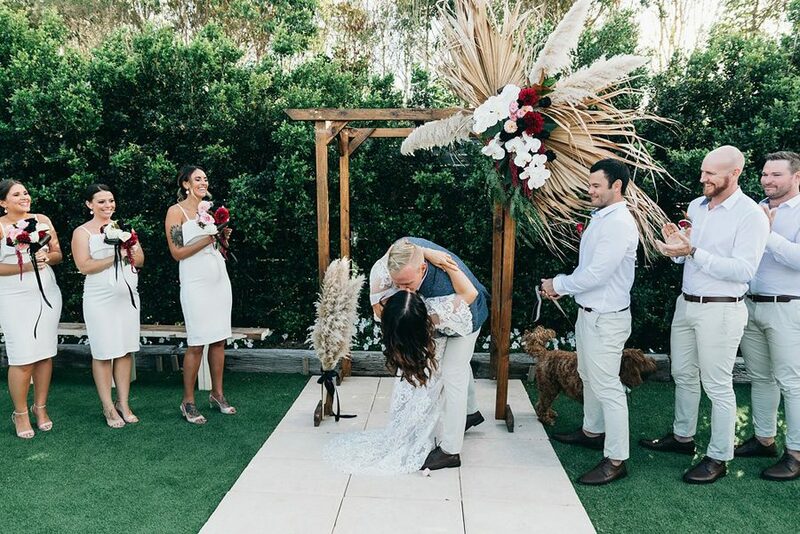 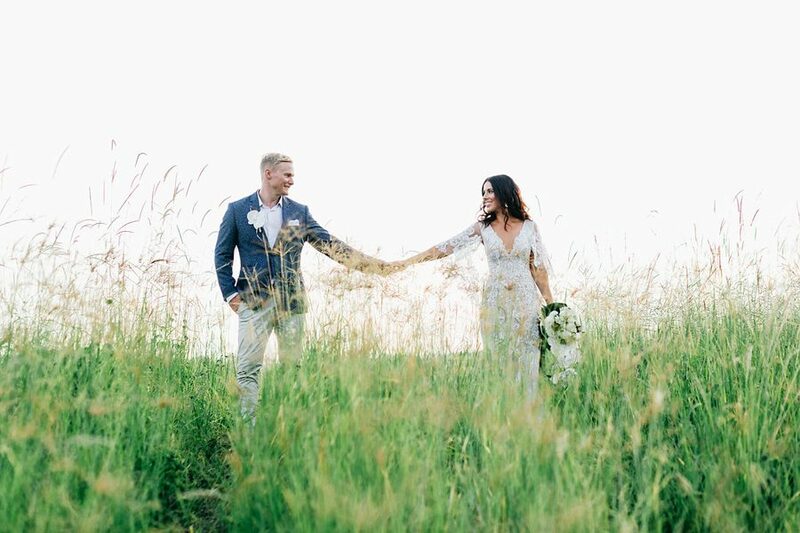 When we saw some sneak peeks of this wedding hit the Osteria Weddings Instagram, we were swooning. 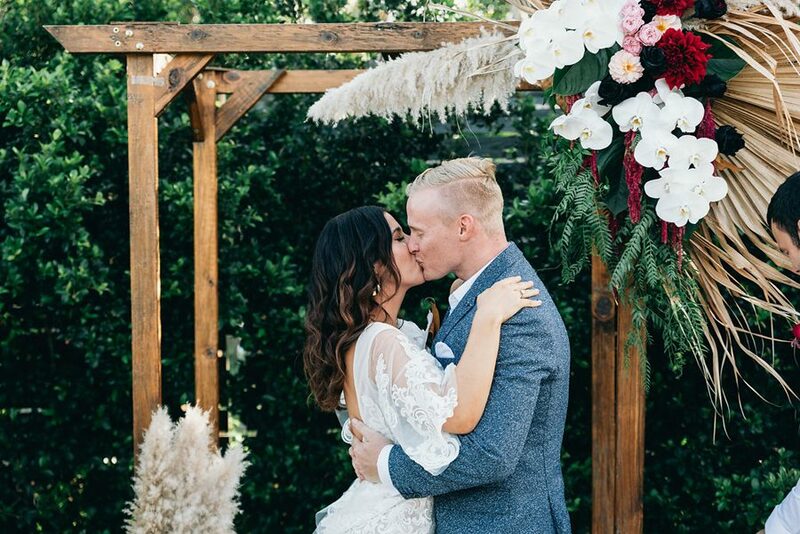 Not only over how picture perfect Elyse and Peter looked in the Osteria garden, but it was the little details that really impressed us. 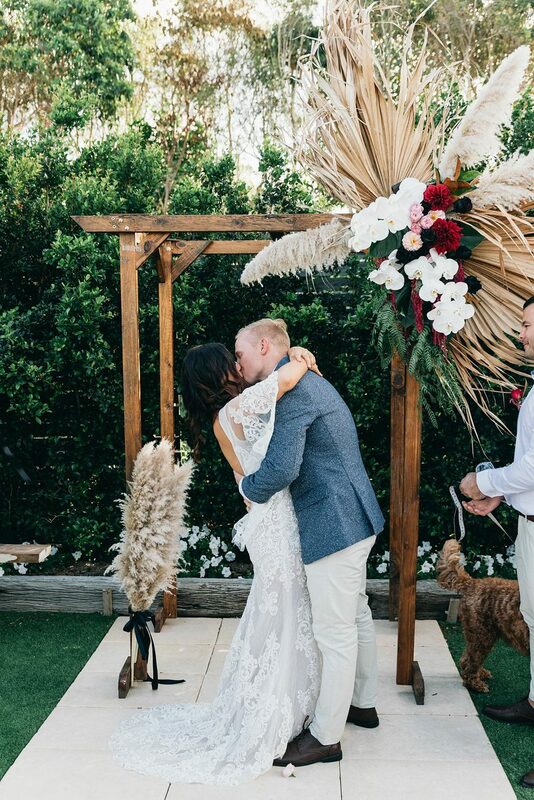 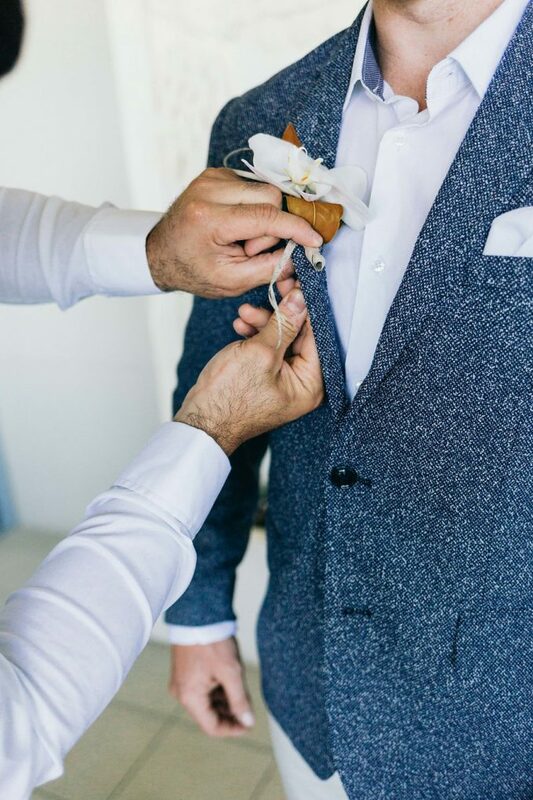 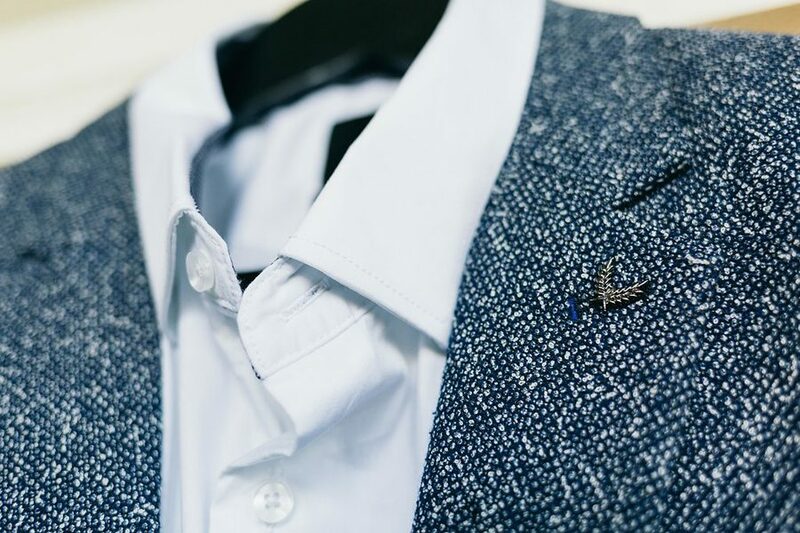 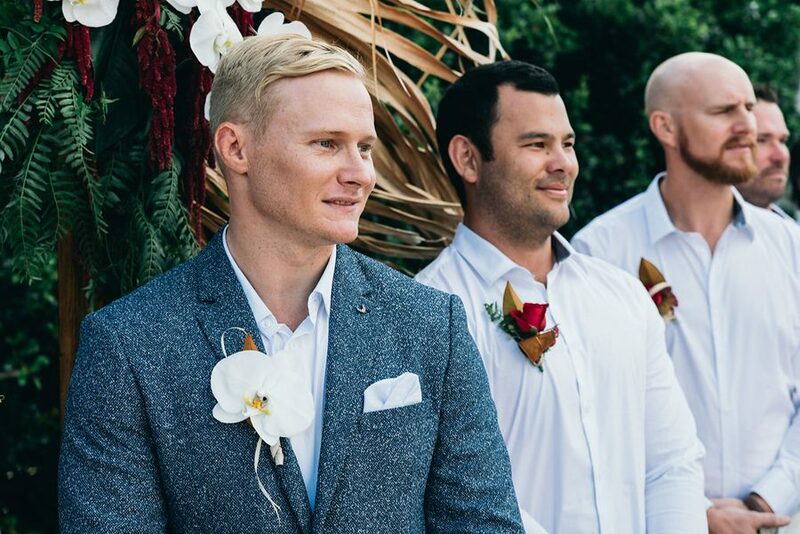 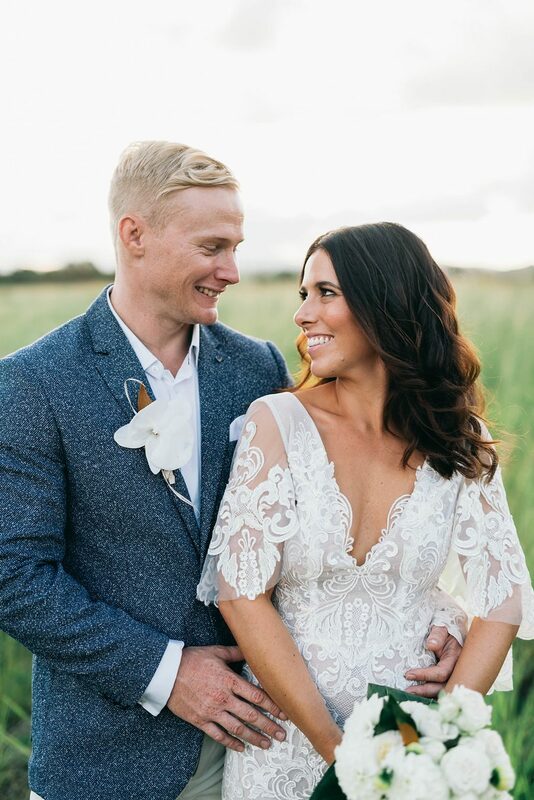 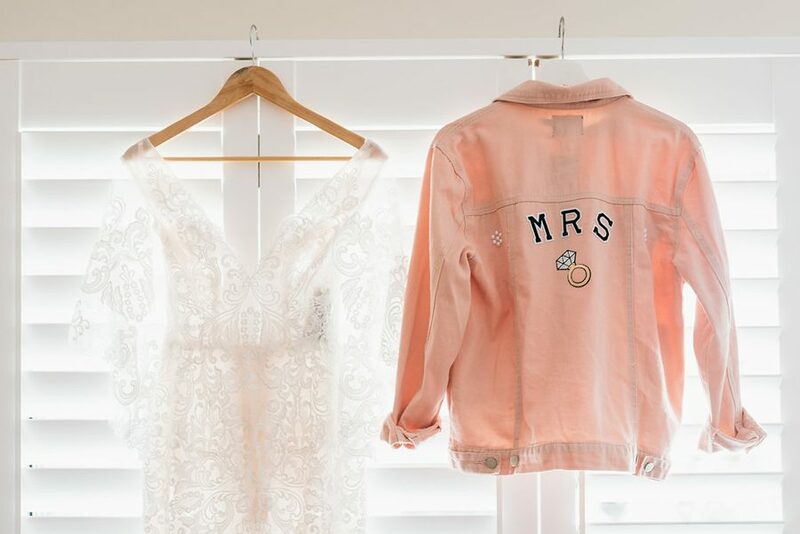 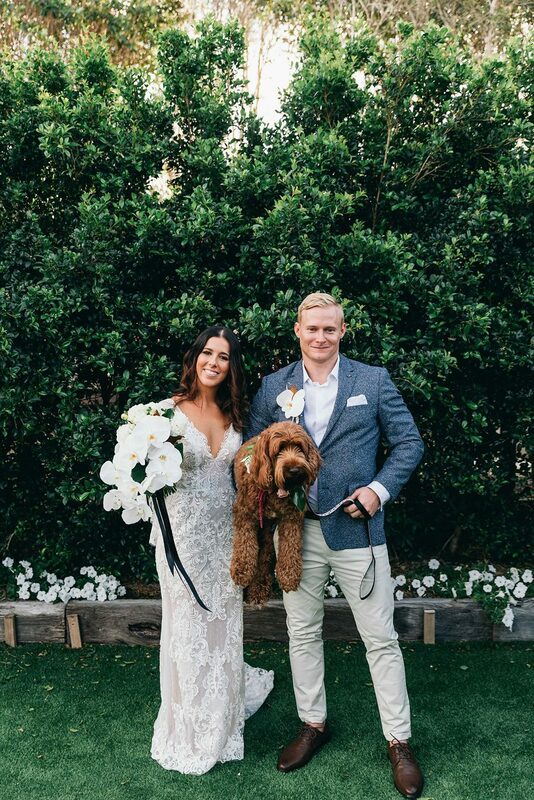 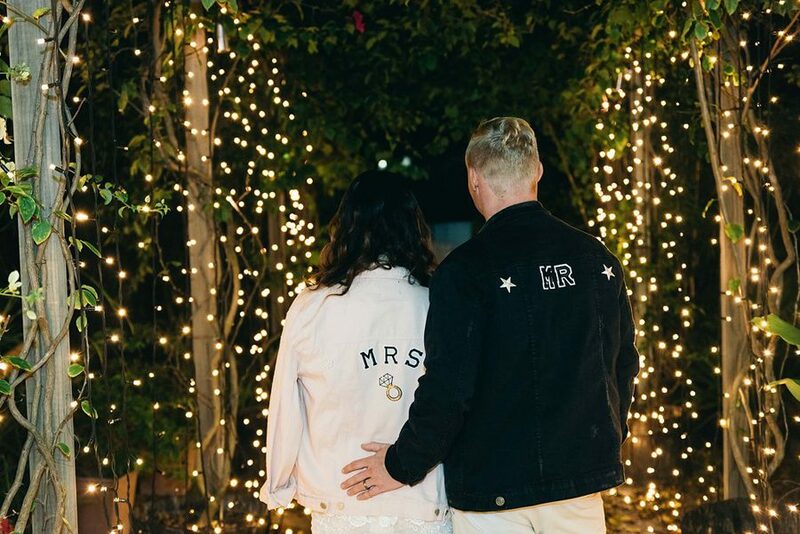 The colour choice of the Groom’s jacket, the unique combo of florals and their ‘his and hers’ denim jackets – who are we kidding, we saw their adorable labradoodle and we were sold! 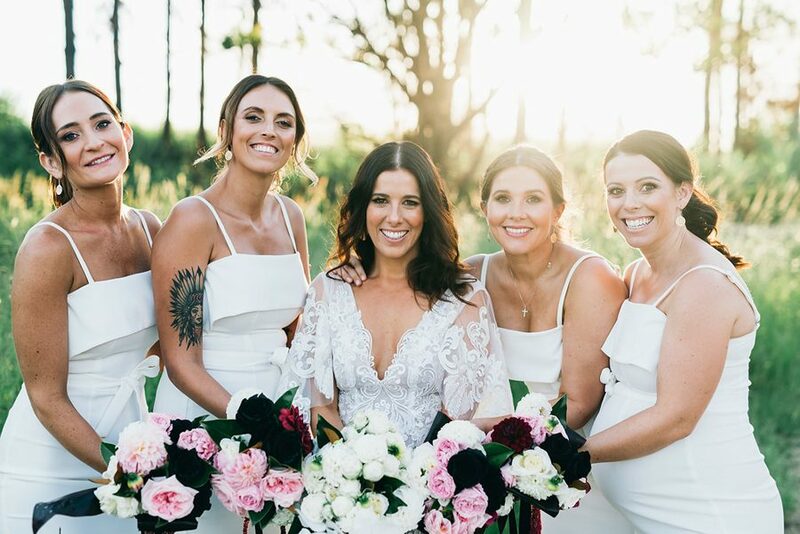 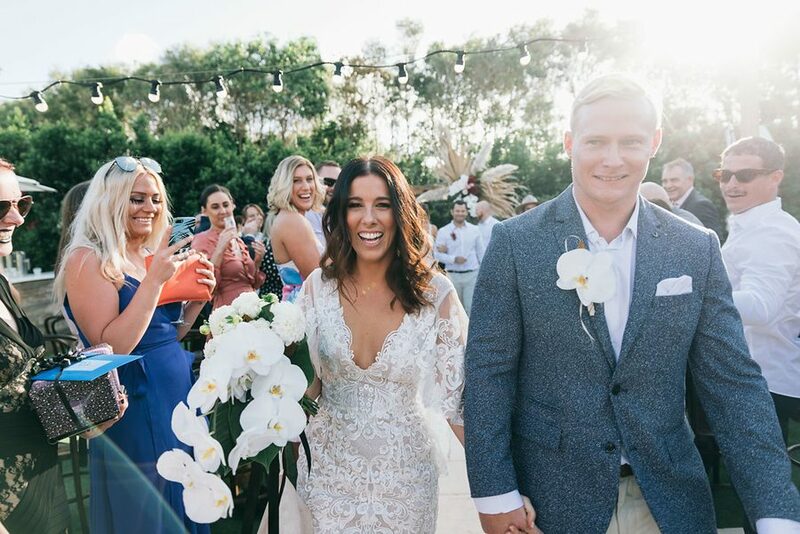 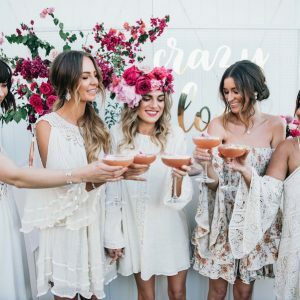 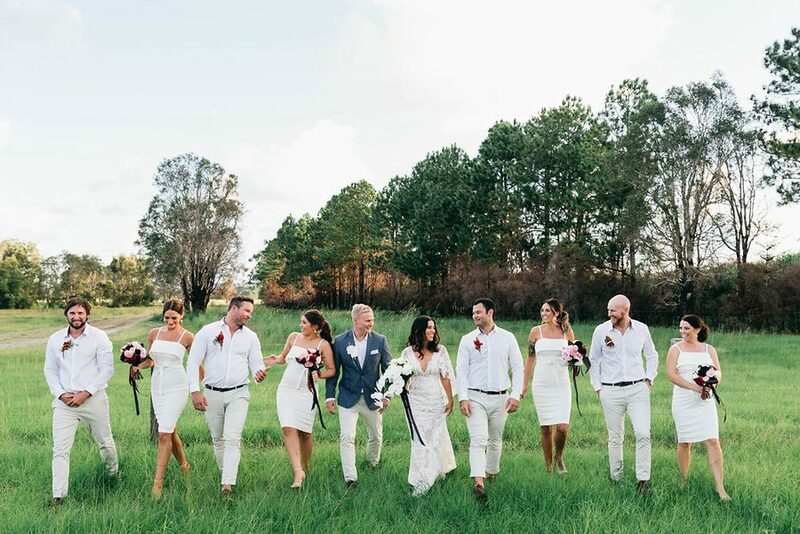 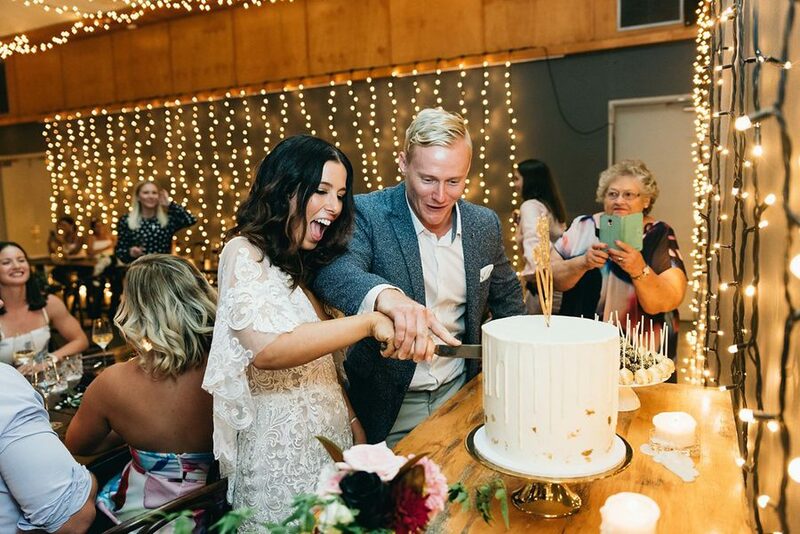 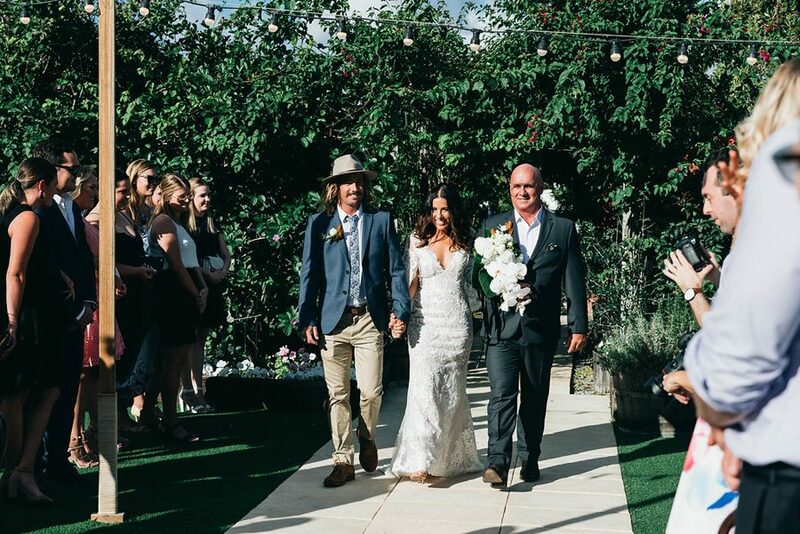 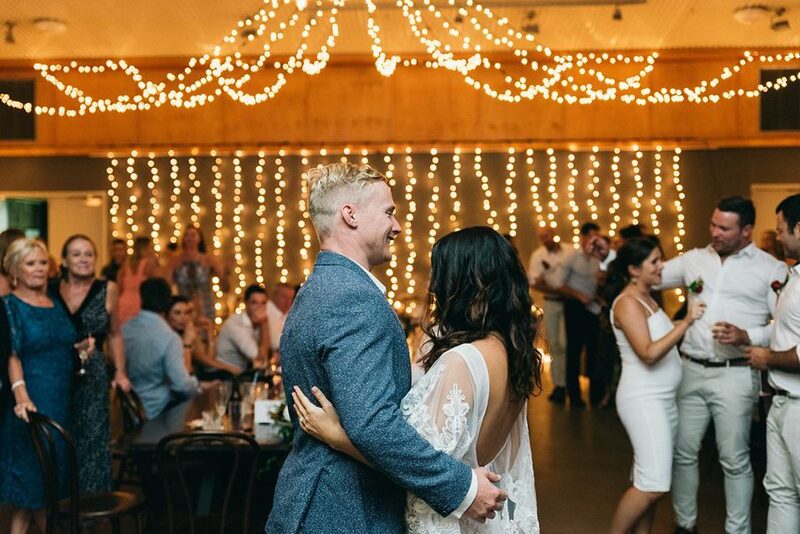 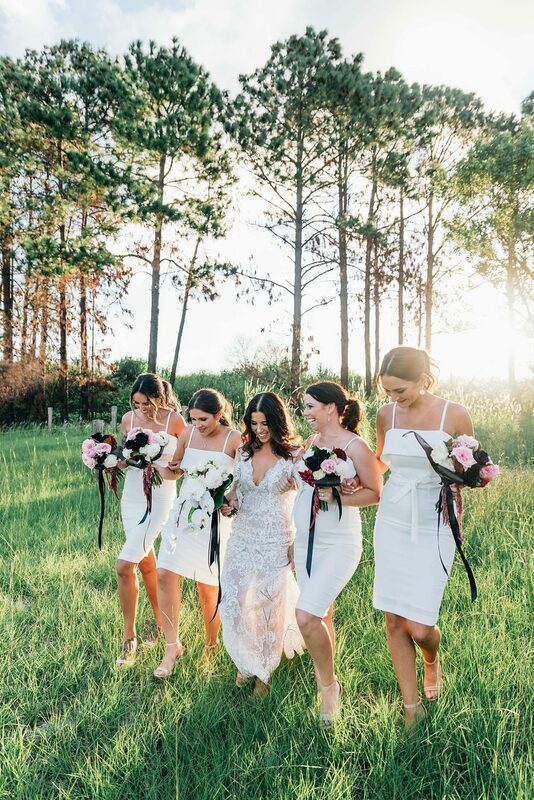 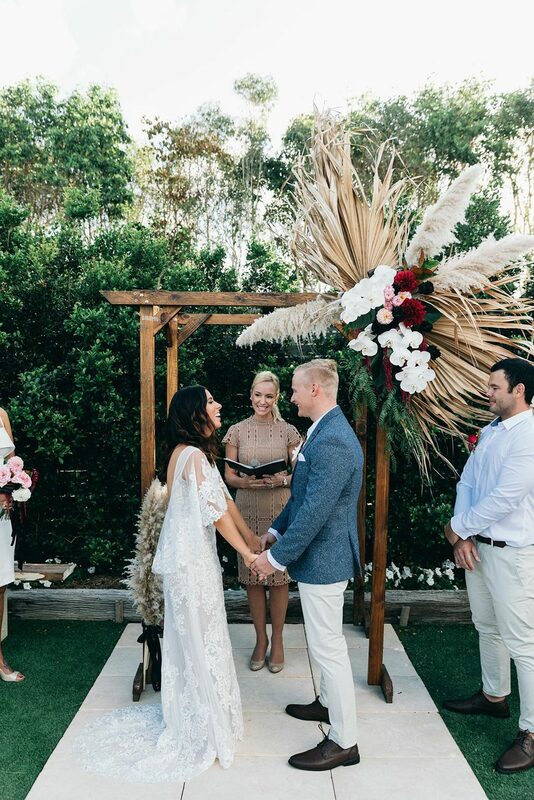 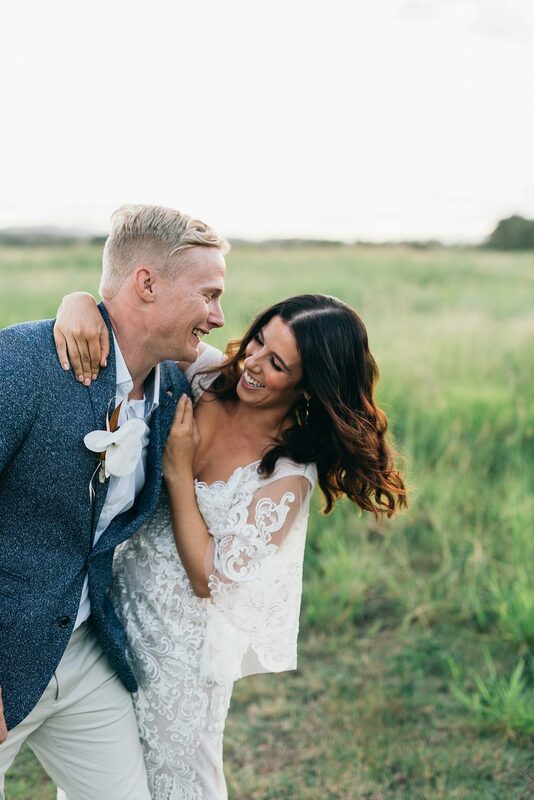 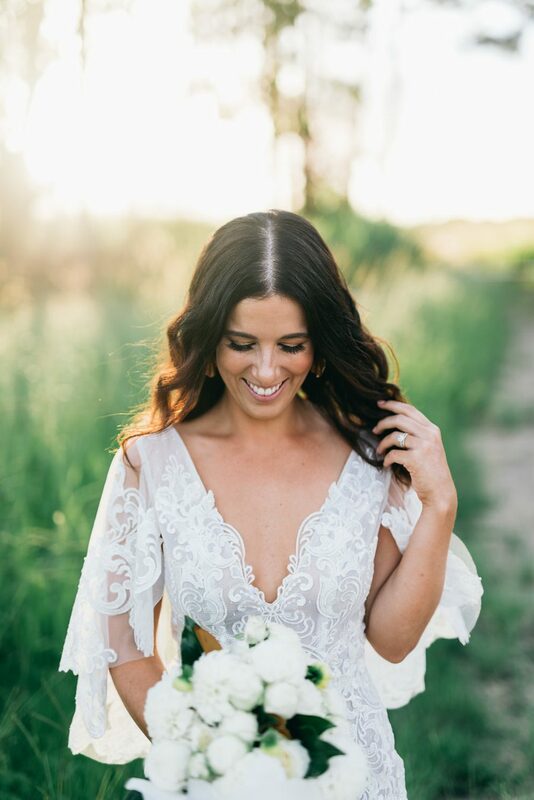 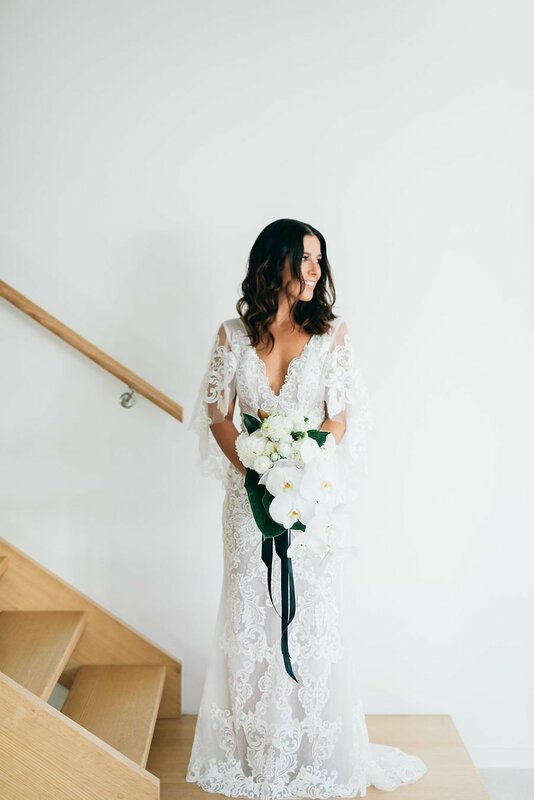 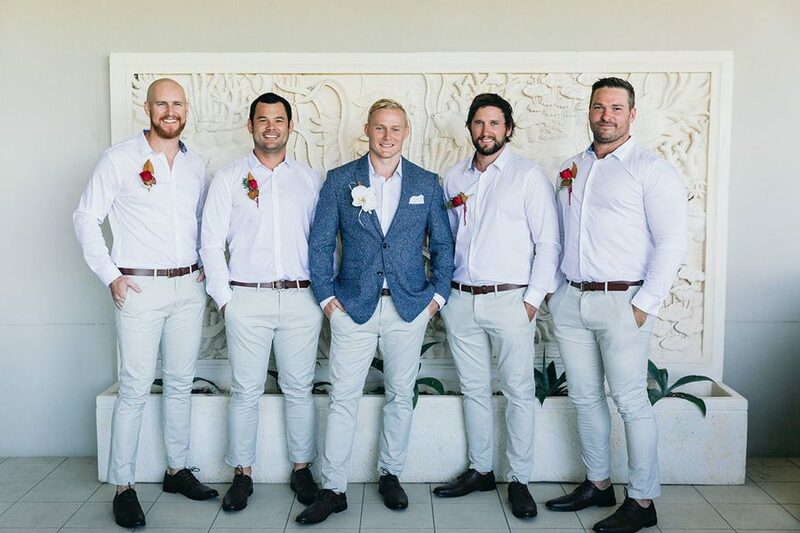 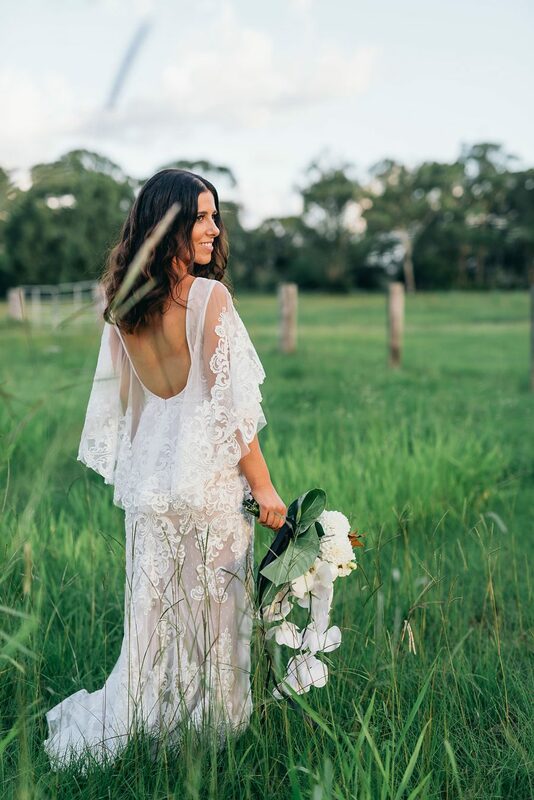 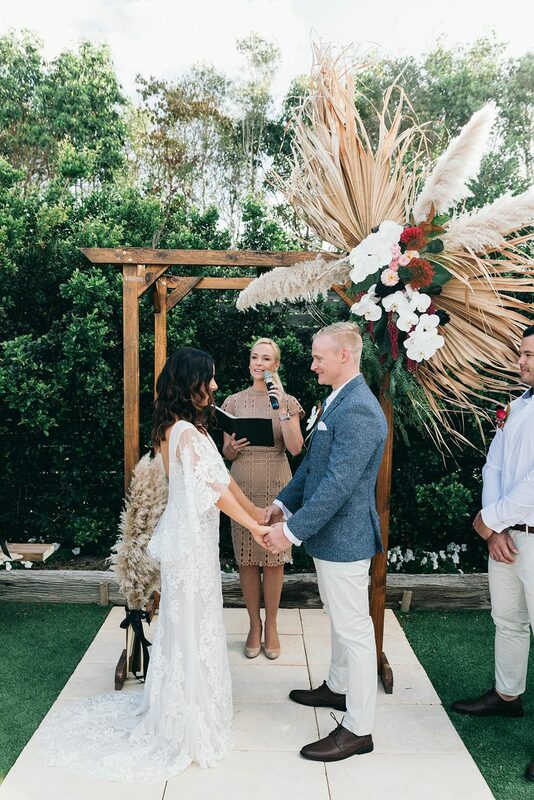 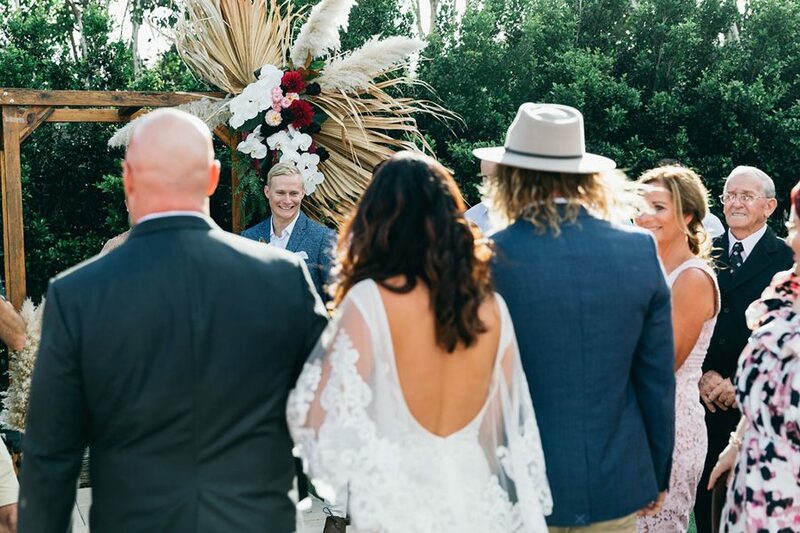 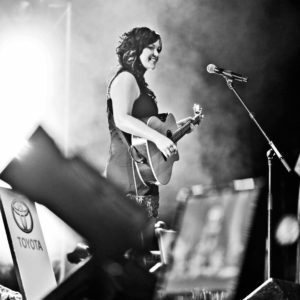 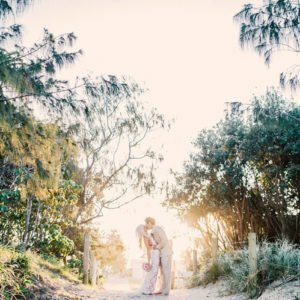 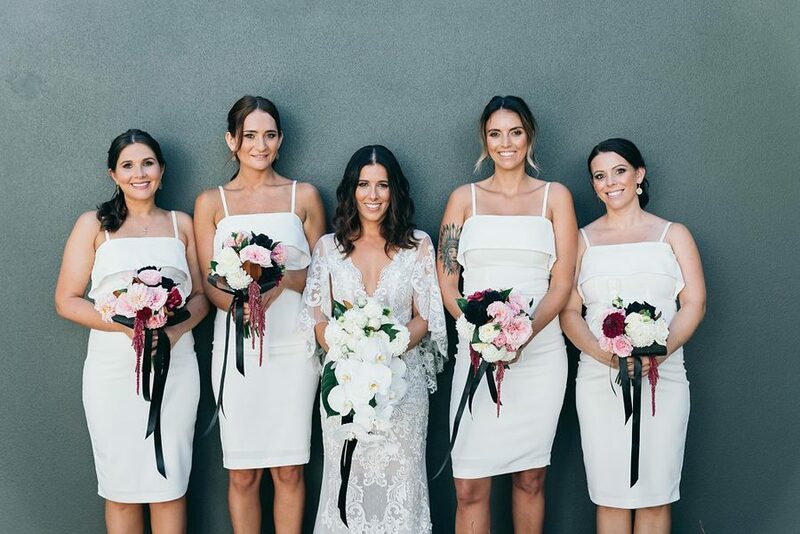 Beautiful Bride Elyse was kind enough to give us a little insight into her Casuarina wedding and her wedding suppliers. 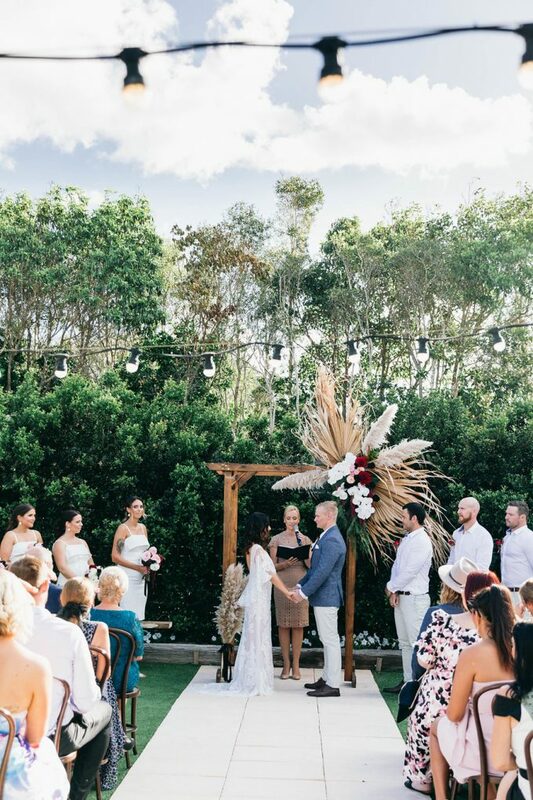 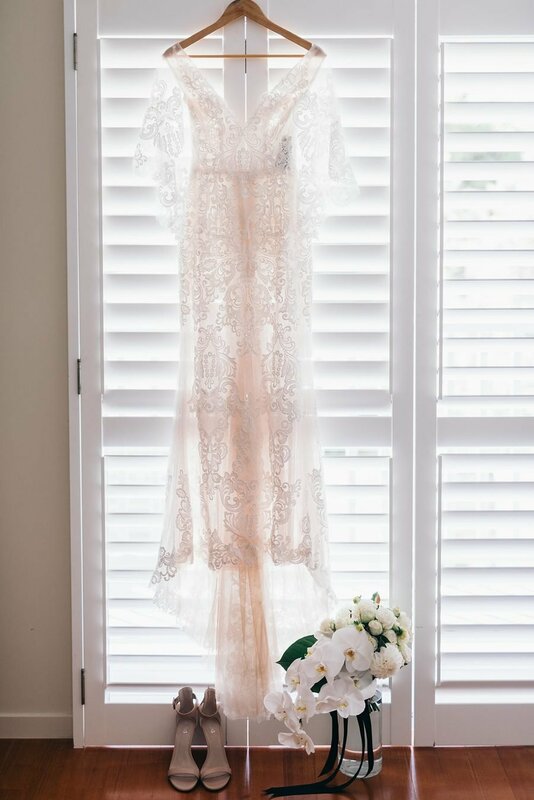 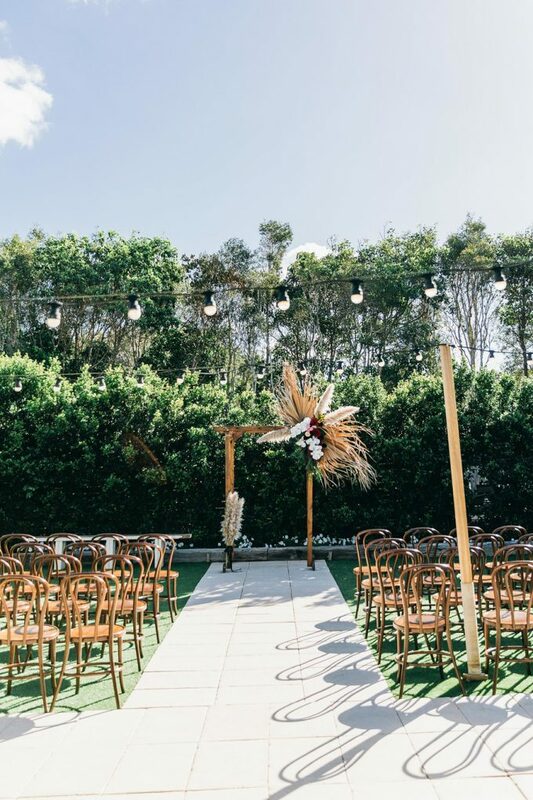 Elyse’s wedding style effortlessly blended together with the venue and the Casuarina surrounds. 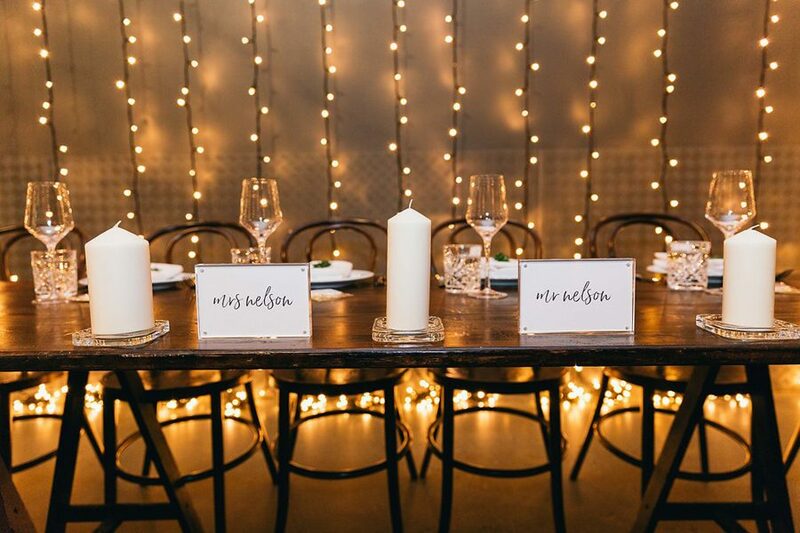 “Osteria was the perfect location for us as it was already a beautiful canvas to work with. 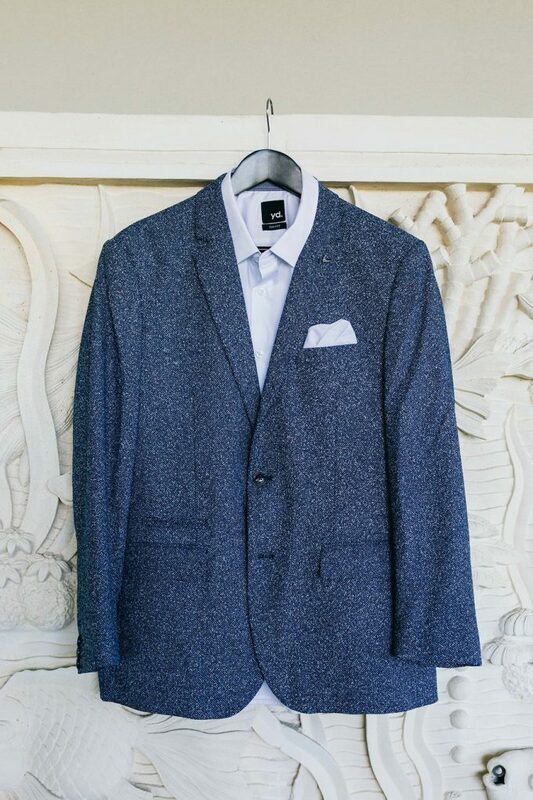 The style brief I had in mind was ‘simple modern elegance’. 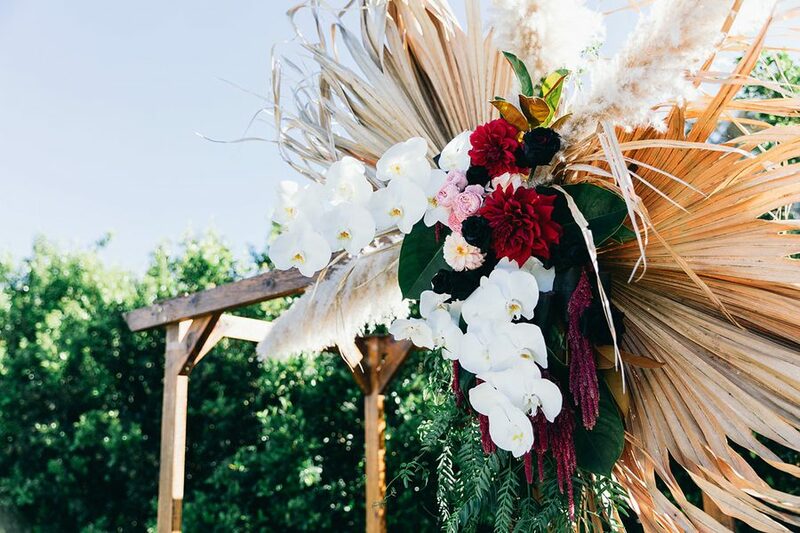 Think brass vases, gold finishes, some dark & moody florals contrasted by dried palm fronds and elegant Phalaenopsis orchids. 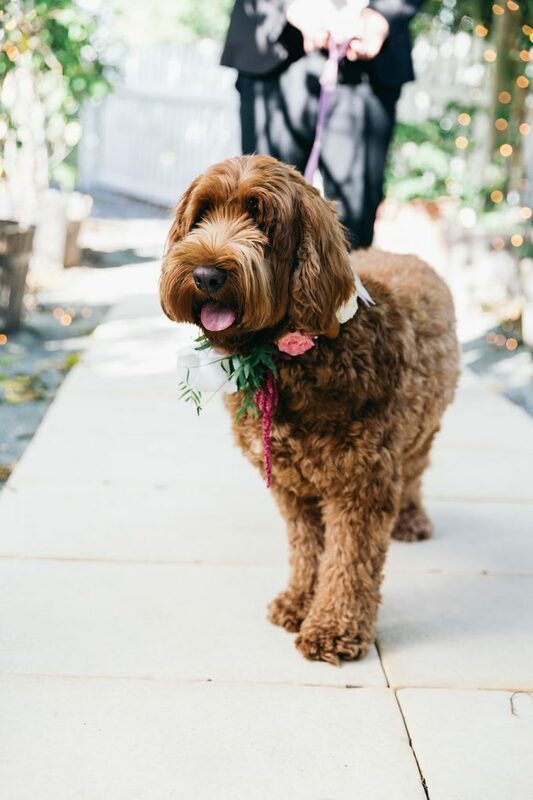 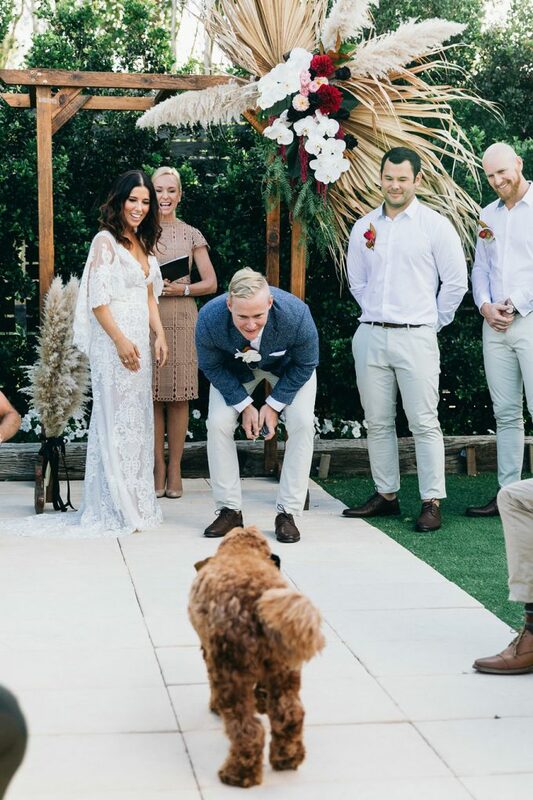 As most pooches do during a wedding ceremony, Poppy stole the show! 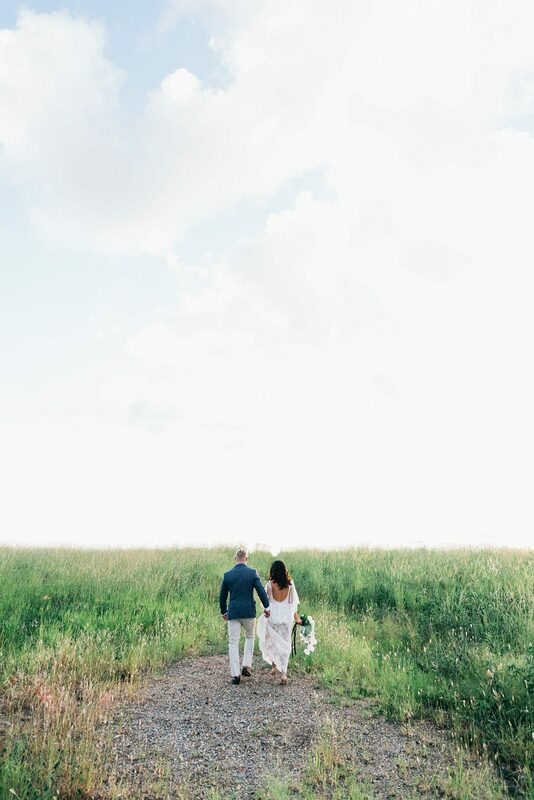 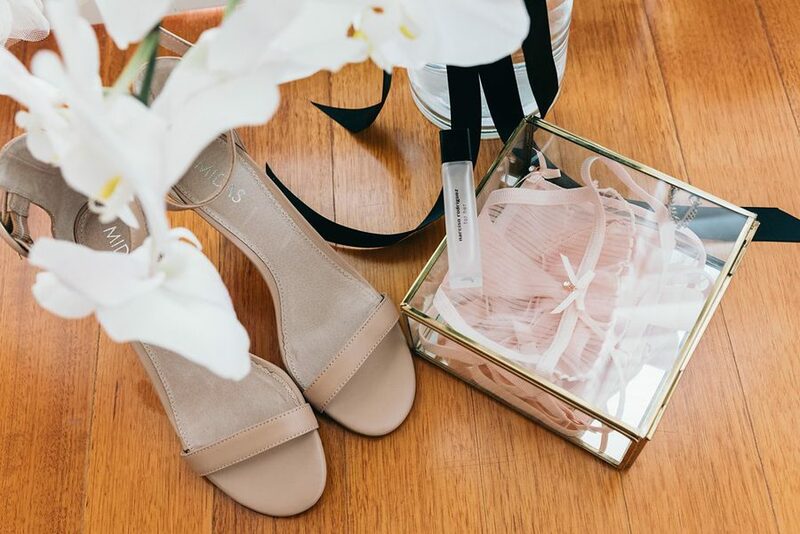 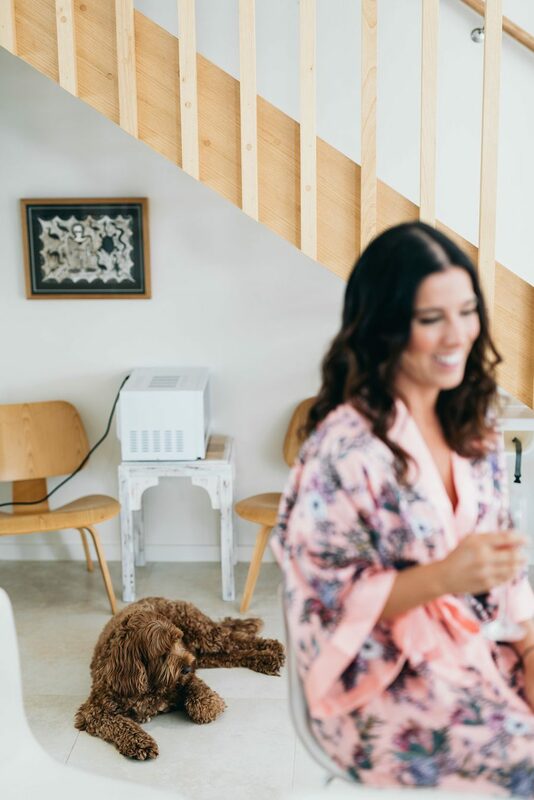 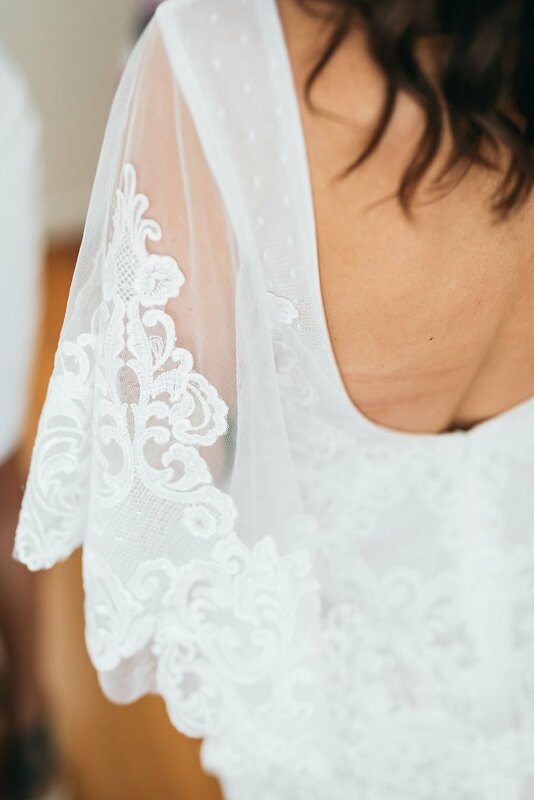 Elyse’s best advice to other bride’s on their wedding day, “it goes by in a blink of an eye so take it all in! 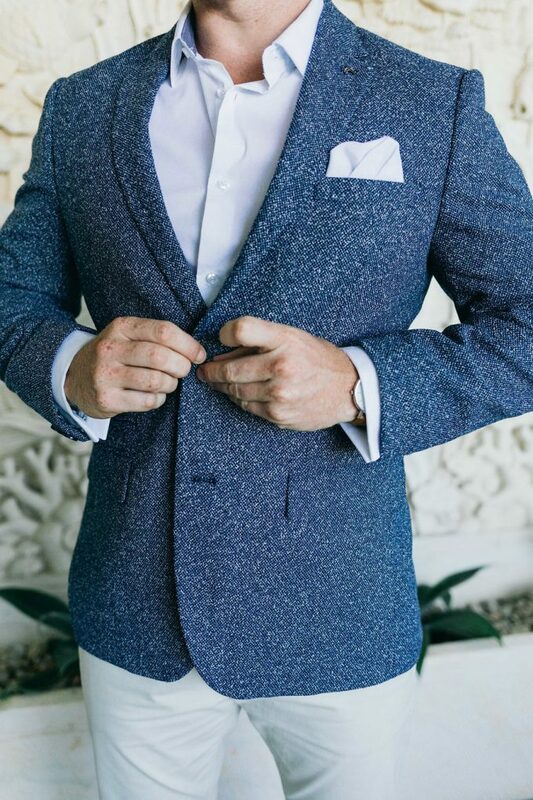 If anything doesn’t go to plan, which no doubt that will happen, go with it!